Groton offers a spectrum of courses in the life and physical sciences. These fields are presented as dynamic and subject to rigorous testing and revision, as has been reflected in the rich histories of each discipline. Teaching of subject content is balanced with work in the laboratory, in the field, and on the computer and is designed to hone the students’ analytical prowess and appreciation for the experimental and collaborative nature of science. Students who feel that they have already taken the science course suggested for their form should write to the Science Department head by May 1 and include a description of their course syllabus and the name of their text. The department will determine the most appropriate course assignment for the student and may administer a placement test to provide additional data for its decision. Biology is a dynamic discipline. In recognition of the diversity within this field, the Science Department offers two introductory biology courses that complement each other and allow for multiple tracks through our curriculum--Ecology (5220) and Biology (5310). A Third Form student who wishes a more traditional and less quantitative course should enroll in 5310. A student who seeks a more applied first year in life sciences should choose 5220. FOURTH, FIFTH AND SIXTH FORMS: The Upper School science requirement for a Groton School diploma involves the election of one full year laboratory course in science during these last three years. Enrollment in all Upper School science courses is by permission of the Science Department. SINGLE TERM COURSES: Fall Term, Winter Term, and Spring Term courses for Sixth and Fifth Formers will be offered on a regular basis. However, term courses will not fulfill the diploma requirement. Term course offerings are subject to staffing considerations; not all of them may be available in any given year. Open to Sixth, Fifth and Fourth Formers. Prerequisite: students who have completed a year of physical science. Students in Advanced Ecology study the relationships within ecosystems and explore various models to explain the current structure of different natural communities. The course begins with an intense study of several vegetative community types which occur within the Town of Groton, with students learning the dominant plant species and sampling small mammal, reptile and amphibian populations. Working in both upland and wetland systems, students are exposed to different experimental designs, sampling procedures and methods of data analysis. Incorporating Global Positioning System (GPS) technology into a Geographic Information System (GIS), students will analyze the data collected in the field for spatial patterns and will use statistical analysis to explore the relationships between patterns of distribution and their underlying habitat variables. Mathematical models of these patterns will be developed and used as the basis for prediction of the occurrence and abundance of different species. In the winter we will study Conservation Biology, beginning with the study of Population Dynamics and moving into Population Viability Analysis and the design of nature preserves. We will discuss the rationale for the preservation of biodiversity and mechanisms of sustainable development of natural resources. In the spring, students return to the field to look at the effects of climate change on our local ecosystems and to study the vulnerability of different groups to the changing patterns. Advanced Ecology is a technologically intensive course, relying on data analysis and the development of computer models for all topics. Enrollment limited to 14 students. This course will prepare students who have completed Advanced Physics (5620) to take the Level C AP examination in Electricity and Magnetism in May. Doing so will entail conducting extensive experiments as well as completing regular problem sets in order to learn how experimentation and the techniques of calculus can be used to explore classical electromagnetism. Open to Sixth and Fifth Formers, Fourth Formers in Calculus. Corequisites: Calculus A or B. During two lecture/discussion periods, one problem-solving period and one laboratory sessions each week, students will learn how experimentation and the techniques of calculus can be used to explore classical mechanics. Time will also be spent examining topics in electromagnetism that have much in common with the mechanical systems studied. Techniques of integration and differentiation will be introduced as needed so students need not have previously completed a course in calculus. Regular assignments will include both problem sets and written laboratory reports. Students who do well in this course will be encouraged to take the Level C AP examination in Mechanics in May. The key STEM skills receiving greatest emphasis in this course are problem solving, collaboration, data analysis and modeling. Open to Sixth and Fifth Formers. Prerequisites: Ecology or Biology and Physics or Chemistry. These prerequisites may be waived with departmental permission for students of demonstrated ability. In addition, all students who take this course must take the AP Biology Examination in May. AP Biology is comparable to a college freshman biology course in both content and rigor. This course will follow the AP syllabus as closely as possible and will cover both class and laboratory components. The lab work includes the completion of the 12 required labs and allows investigation of classic and current lab technique. The labs will incorporate computer interfaces, specialized software and collection of data. Major topics covered will include cell anatomy, physiology and biochemistry, heredity and genetics, comparativeanimal physiology and evolution. Students will complete one presentation that requires them to become conversant with current scientific literature and recent advances/discoveries. Scientific journal readings and discussions will also be utilized to expose students to techniques and protocols prevalent in recent research. The key STEM skills receiving greatest emphasis in this course are collaboration, defining and analyzing systems, forming logical arguments and data analysis. Open to Sixth, Fifth, and Fourth Formers. Prerequisites: Introductory Chemistry and at least concurrent enrollment in Precalculus (Introductory Chemistry Honors is preferred). These prerequisites may be waived with departmental permission for students of demonstrated ability. This course is designed to prepare the student for the AP Chemistry Examination which is taken by all who are enrolled in the course, and is designed to be the equivalent of the chemistry course usually taken during the first year of college by science majors. The following topics will serve as a guide to the content of the course. I. Structure of matter: including atomic theory and atomic structure, chemical bonding, and nuclear chemistry. II. States of matter: including gases, liquids, solids and solutions. III.Reactions: including reaction types, equations, and stoichiometry, equilibrium, kinetics, thermodynamics. IV. Descriptive chemistry: including the periodic table, chemistry of metals and non-metals and the physical and chemical properties of the compounds of carbon. The key STEM skills receiving greatest emphasis in this course are problem solving, defining and analyzing systems, basing conclusions on evidence, forming logical arguments and data analysis. Open to Sixthand Fifth Formers who have not taken a full-year course in physics. This course will explore a handful of applications such as rockets and space travel, pipe organs, cameras, radios, air conditioners and geothermal heating. The focus will be on conceptual understanding rather than quantitative analysis, so a minimal amount of mathematical reasoning will be used to gain a full understanding of the applications studied. Course work will be reinforced by a hands-on approach to the material. Open to Sixth and Fifth Formers. In 1920, leading astronomers gathered in Washington, DC, to attend a debate entitled “The Scale of the Universe.” In 1996, astronomers filled the same hall in Washington to witness another debate entitled “The Scale of the Universe.” Seventy-six years of observational evidence in the interim had completely altered our models of the structure of the universe and shifted the basis for the debate, but to this day, competing methods for establishing the distance scale of the universe yield conflicting results. This scale is essential to almost all models of the history and fate of the universe. Becoming an educated member of the greater audience to this ongoing debate requires acquiring a basic understanding of the structure of the universe and the physical principles governing its evolution. This course will focus on the dynamics of stellar evolution and stellar systems in order to establish an understanding of objects (including variable stars, planetary nebulae, supernovae and galaxies) that are used as distance indicators in contemporary research. Competing measurement techniques will be studied during four class meetings per week and one evening lab session, during which students will become familiar with the night sky and the rich variety of objects that can be observed through a small telescope. Open to Third Formers. This survey course emphasizes diversity within and convergence among all kingdoms at the molecular, biochemical and organismal levels. Evolution by natural selection is fundamental to describing the morphology, physiology, and ecology of the biosphere and its components, and is at the core of this discipline. In the laboratory, we teach quantitative analysis, laboratory technique, and presentation. It is used to enrich the topics that are presented in lecture. During the Winter Term, students perform a thorough dissection of the fetal pig. The key STEM skills receiving greatest emphasis in this course are defining and analyzing systems, basing conclusions on evidence and modeling. Open to Sixth, Fifth and Fourth Formers. Introductory Chemistry and Introductory Chemistry (Honors) will follow the same general progression of topics, but Honors students will be expected to be more comfortable with and adept in mathematical analysis. The Honors course moves at a faster pace in order to allow time to explore topics in greater depth so that the fundamental chemistry concepts and skills can be applied to contemporary topics. Students in the Honors course will be strong candidates for AP Chemistry. Enrollment in the Honors course is subject to the approval of the Science Department. Open to Sixth, Fifth and Fourth Formers. Chemistry is a subject concerned with energy and the properties of matter. The introductory course emphasizes problem solving. By combining molecular visualization and mathematical analysis with laboratory experience, students work individually and in small groups to solve problems ranging from the design of molecules that serve as therapeutic agents for diseases, to the design of instruments that measure the amount of heat energy released in combustion reactions. Topics covered include: atomic and molecular structure, solution chemistry, properties of the liquid, solid and gaseous states of matter, nuclear chemistry, thermochemistry, kinetics, quantum mechanics, organic chemistry and chemical reactivity. The laboratory component of the course emphasizes analytical chemistry skills and scientific communication. The key STEM skills receiving greatest emphasis in this course are data analysis, problem solving, basing conclusions on evidence and forming logical arguments. Open to Sixth and Fifth Forms. Coursework in Biology required; experience in/concurrent enrollment in an advanced science course preferred. Hands on dissection required. All vertebrates share a common ancestor. The study of anatomy and physiology through the complete dissection of an organism can reveal the similarities and important differences that have developed between distantly related animals. Through dissection, the student will gain an understanding of anatomy, physiology and learn to make inferences regarding the evolution of anatomical structures. The class time will primarily be devoted to dissection of one aquatic and one terrestrial animal; students will be expected to learn the techniques necessary for careful, precise dissection. Outside of the classroom, students will investigate the history of the dissected organisms and read articles relevant to the discipline of comparative vertebrate anatomy. Students will be assessed through lab practicals and a final project. Limited to ten students. Open without prerequisite to Sixth and Fifth Formers. In 1929, Edwin Hubble published a paper that spawned the belief that our Universe had a past and will have a future very different from the present. In the years since then, theoretical cosmologists and observers studying supernovae, galaxies, variable stars, and the cosmic microwave background have vastly improved our understanding of how the Universe has evolved to a state that allows for our existence. This course will begin with a brief historical survey of humankind's quest to understand the Universe in which we live. As this progression reaches the twentieth century, the course will slow down to examine the evidence that has led to revisions in our models. The course will then conclude with consideration of the bizarre implications of discoveries first published in 1998, which cosmologists are still trying to explain. Each week, there will be four daytime class meetings and one evening lab session, during which students will have opportunities to observe and study objects in the night sky that are accessible to small telescopes. Open to Third Formers. This course begins with the study of ecosystem dynamics and energetics, looking at species interactions and the flow of energy through ecosystems. Field studies of the goldenrod and leaf litter communities will provide the basis for exploring these ideas through the development of models and the analysis of the patterns seen in the field. In the winter we will turn our attention to the study of evolution focused on the two billion year history of humans and their ancestors. At the end of the winter we will discuss more recent human evolution and the dramatic effects that our species has had on the planet. During the spring we will explore sustainability and the issues associated with providing food and water for a human population that will likely exceed 10 billion people and the effects that this will have on the Earth’s climate and natural ecosystems. The course is highly quantitative and computers are used to develop models and to collect and to analyze data for all topics. Open to Sixth and Fifth Formers who have taken or are currently taking a full-year course in physics. This course introduces the many fields of engineering and the roles of these disciplines in our society. The course is centered around a group project that will follow the engineering design process. Topics covered in the first term of physics will be revisited and expanded upon. Depending upon the particular project, the class will cover different aspects of introductory level statics, material and section properties, loading and design standards. Engineering is not limited to design, so a part of the project will also include performing a cost analysis and exploring constructability and feasibility. In addition, an important theme throughout the course will be an awareness of professional ethics involved in engineering and design. Open to Sixth and Fifth Formers who have taken a full-year laboratory science course in the upper school. The course will be centered on group projects as students learn the engineering design process starting from the identification of a need all the way to prototyping in the fabrications laboratory. The class will be learning and progressing through the design process as they take on projects within the community. The students will be able to work on real-world projects with the potential of having important and valuable input during the projects’ design. There will be a significant fabrication component to the course as ideas and designs will become prototypes and solutions as the student familiarize themselves with material properties, including cost, and construction methods In addition, this course introduces the many fields of engineering and the roles of these disciplines in our society. Throughout the course, an important interlaced theme will be to develop an awareness of professional ethics in engineering and design. Open to Sixth and Fifth Formers. Prerequisite – any previous Chemistry course. The course opens with the basic principles of Green chemistry. The discussion of “good ozone” which serves as our filter against harmful UV-C and UV-B rays is juxtaposed against the discussion of “bad ozone” in smog production. The greenhouse effect as well as the enhanced greenhouse phenomenon (some refer to the latter as “global warming” implicated in climate change) follows next. We will then discuss the use of fossil fuels, their role in the production of smog and increased concentration of CO2 in the atmosphere. The discussion turns next to the replacement of leaded gasoline by the addition of MTBE, ethanol and related oxygenates to reduce smog. Attention is turned next to the search for sustainable ways, including purification methods, to bring potable water to exploding populations in the developing world. The pros and cons of the roles of chlorine, ozone and reverse osmosis in the purification of water are compared. Open to Sixth and Fifth Formers. Prerequisites: a life science class; chemistry or physics suggested. Human anatomy and physiology will be covered with emphasis on the systems that allow locomotion to occur: muscles, joints and skeletal. The text will be supplemented with computer-based resources,case studies and projects. Open to Sixth and Fifth Formers. Prerequisites: a life science class; chemistry or physics suggested. Human anatomy and physiology will be covered with emphasis on the major organ systems. The text will be supplemented with the ever-expanding menu of anatomical computer-based resources, case studies and projects. Students will write short focus papers that allow further investigation into the systems we cover. Group work is also an important component of this course. Open to Sixth and Fifth Formers who have taken or are taking a full-year course in physics. This course will trace the development of modern physics through the 20th Century, beginning with the quantum hypothesis proposed by Max Planck in 1900 and concluding with contemporary research. Topics covered will include quantum theory, special relativity and particle physics. These areas will be approached mathematically where possible, but the primary focus will be on tracing the development of intricate theories and understanding how they inform and alter the way we view the world around us. Open to Sixth and Fifth Formers who have a solid understanding of DNA and general techniques utilized in molecular biology. AP Biology or Chemistry is preferred as a prerequisite but not required. (Students who lack advanced science background are encouraged to speak with the instructors.) This laboratory-intensive elective will emphasize hands-on molecular biology concepts and techniques. Students will be instructed and guided through a range of current and innovative research level molecular biology/biotechnology protocols. The laboratory research workflow techniques employed in this course will mimic the type of laboratory research performed in colleges, universities and research labs worldwide. Throughout this course, the students will utilize traditional and emerging molecular biology laboratory techniques and bioinformatics. Students will also learn the industry/research standard for maintaining a laboratory notebook. There will be two 75-minute blocks and one 30-minute block. Initially, some of the blocks will be utilized for lecture, but as the term progresses, the majority of time will be spent in the laboratory. Students will be graded using both written assignments and laboratory performance. An end of term project presentation will serve as the major assessment. This course is limited to 8 students. Open to Sixth and Fifth Formers.Prerequisite: Completion of AP Chemistry This course introduces many of the basic reactions and concepts students will encounter in their future studies of chemistry, biology, or medicine. Rather than covering a large number of reactions, as might happen in a second-year (full year) college organic chemistry course, this course emphasizes an understanding of general principles of reactivity and mechanism. The classroom work is supplemented by demonstrations through which students learn some of the fundamental tools of this highly empirical science. In addition, each student gains detailed knowledge of an area of active research related to organic chemistry. After selecting a topic of interest, each student prepares a paper and a class seminar, using current scientific literature. This course may require more than the standard four to five hours per week of homework. Open to Sixth and Fifth Forms. Prerequisite is Organic Chemistry 1. The course will be a continuation of the first Organic Chemistry class, focusing on pericyclic and named reactions. Students will be expected to give an extensive presentation on an aspect of physical organic chemistry. Open to Sixth and Fifth Formers. Prerequisite: Algebra 2. This is a full year course with two or three lecture/discussion periods and one or two laboratory sessions per week. The course is designed to familiarize students with the principles of classical physics that govern our everyday experiences. Topics will include Newtonian mechanics, wave behavior and electricity and magnetism. Material will be ap­proached from both conceptual and mathematical perspec­tives. Course work will include regular problem sets and laboratory experiments summarized in written reports. The key STEM skills receiving greatest emphasis in this course are problem solving, basing conclusions on evidence and modeling. This course is designed as a hands-on, inquiry-based course that challenges students to make connections across the various scientific disciplines while developing their observational, analytical and quantitative skills to better understand the physical world. This course combines the key elements of the physical science, chemistry, biology and ecology disciplines in the context of our modern environment to prepare students for more advanced science courses. Science skills such as keeping a laboratory notebook, taking accurate laboratory measurements, the understanding, interpretation and presentation of laboratory data, using the metric system and making useful conversions between measurements are emphasized and visited throughout the course. The key STEM skills receiving greatest emphasis in this course, collaboration, presentation and data analysis, will establish a foundation for all future work in this department. Open to Fifth and Fourth Formers. Environmental Science is a fast-paced, quantitative investigation of the impacts of the growing human population on the planet. The central theme of the course is the study of sustainability from a systems dynamics perspective. Beginning with the study of ecosystem dynamics in the fall, students will use the open natural spaces of the campus to study the flow of matter and energy through systems and to investigate the interactions among communities of plants and animals. In the winter, we will explore population dynamics and resource use and allocation in developed and developing economies. This will include an examination of water and soil resources, agriculture and food production and energy sources. The spring term is focused on the study of pollution and its control. Throughout the course there will be an emphasis on hypothesis testing and data analysis. While not a requirement of the course, with a small amount of independent work students will be prepared for the national Advanced Placement Environmental Science Exam. The key STEM skills receiving greatest emphasis in this course are data analysis and modeling. Additional emphasis will be placed upon basing conclusions on evidence in the fall, problem solving in the winter and defining and analyzing systems in the spring. Open to Fourth Formers who have completed Geometry. Mathematical concepts typically featured in Algebra 2 will be studied both theoretically and through applications, thus preparing students for precalculus while establishing a foundation for advanced work in science. Mathematical tools will be applied to the exploration of unifying topics in chemistry and environmental science. Throughout the course, emphasis will be placed on collaborative projects which incorporate applications of technology and engineering processes. Science Department Head Stephen Belsky arrived at Groton in 1983 as a sabbatical replacement instructor in biology; he was on a break from his graduate work in plant physiology at Cornell but never returned. During his own sabbatical year from Groton in 1993, he headed to Ann Arbor, where he completed his MS in biology at University of Michigan. He has a BA from Swarthmore College. Mr. Belsky holds Groton's Kendall W. Foster Chair in the Sciences. During his tenure at Groton, Mr. Belsky has taught chemistry and environmental science as well as biology. He notes that teaching the offspring of former students does give him a sudden jolt of reality. David Black ’80 began teaching in the Science Department in 1989, after five years as an ecologist with a consulting company, where he assessed the environmental impact of projects throughout New England. Dr. Black earned a bachelor's degree in biology from Harvard University and a PhD in ecology from the Durrell Institute of Conservation and Ecology at the University of Kent, England. He used this background to develop a program in ecology and environmental science at Groton, which emphasizes field work, data analysis, and a rigorous scientific approach to the understanding of environmental issues. He now holds Groton's Geoffrey deC. Gund 1960 Teaching Chair. Outside the classroom, Dr. Black runs the Groton Conservation Corps, a student group working to protect campus biodiversity. During his time at Groton, he has headed the third form boys' dorm and coached football, basketball, squash, and crew. He also has worked with the Groton Environmental Group, which seeks to increase awareness of environmental concerns facing our community. Beyond the gates, Dr. Black is involved in the stewardship of open spaces in the Town of Groton and serves as a trustee of the Groton Conservation Trust. The parent of two Groton graduates, Dr. Black enjoys travel, hiking, and all time spent outdoors. Bert Hall arrived at Groton in 2002. After completing his undergraduate studies in civil engineering at Worcester Polytechnic Institute, where he also played ice hockey, Bert headed into the real world as a licensed professional engineer. During that time, he worked on designs for bridges, buildings, and telecommunication towers. Through WPI and his first few years of professional work, Bert spent weekends as a backcountry ranger for the U.S. Forest Service. After five years of this trying work, he headed to University of Wisconsin, where he received his master's degree in structural engineering. Perhaps most important, this is when Bert met his wife, Marci, a professional cyclist. Bert then turned his attention and energy to the teaching field; at Groton, he teaches physics and engineering, coaches girls varsity ice hockey, and acts as school scheduler. Bert and Marci recently welcomed daughter Isabelle to their lives. Rounding out the Hall clan is crazy Mani, a stark white pooch with a curled tail that refuses to slacken! Ali Hamlin teaches chemistry and Second Form science and coaches varsity field hockey. Ali’s scientific interests have taken her around the world: she has participated in research on materials science in Beijing, renewable energy use in Kenya, and marine science on the Maine coast. Living in Armenia for much of 2014, Ali tutored students at the American University of Armenia and designed educational materials for two environmental nonprofits. After returning to the U.S., Ali worked as an acquisitions editor for a scientific journal in Cambridge, MA. Most recently, she completed her first year as a classroom teacher at Phillips Academy Andover. Ali graduated from the University of Rochester in 2013 with a degree in chemistry. At Rochester, she pursued independent research in inorganic chemistry and helped lead her field hockey team to the school’s first ever NCAA appearance in 2012. The team advanced to the round of eight, and Ali was recognized as the team’s Unsung Player. 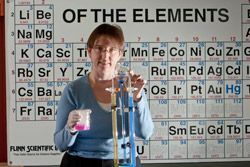 Sandra Kelly came to Groton in 1998 as an interim teacher, having just completed a two-year, post-doctoral position in analytical chemistry at Tufts University. She teaches introductory chemistry, AP Chemistry, and has sponsored tutorials on topics ranging from biochemistry to food chemistry. Sandra currently holds the W. Homer and Helena P. Smith Chemistry Chair. She has a BS from the University of Indianapolis and a PhD from Washington University. She is a head of Kelly’s Dorm, an Upper School girls residence. She is married to Bob Kelly and has two children, Aiden and Rylee. Nathan Lamarre-Vincent joined the Groton faculty in 2015. 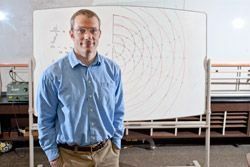 He developed a love of bioorganic chemistry and Ultimate Frisbee as an undergraduate at Carleton College and followed his passion to the California Institute of Technology, where he completed a PhD in chemistry and met his wife, Sarah. Following graduate school, Nathan expanded his intellectual horizons by working on genomics as a postdoctoral fellow at Harvard Medical School. During this time, Nathan rediscovered the joy of teaching as a teaching fellow at Harvard University. Before coming to Groton, he held a joint appointment in chemistry and biology at Alfred University in western New York. Nathan and Sarah have two sons, Cormac and Kellan. Eli Mansbach is the physics teaching fellow this year, teaching two sections of Advanced Physics: Mechanics. He graduated from Amherst College in 2018 where he majored in physics. Eli played Ultimate Frisbee for Amherst for four years and also worked as a volunteer EMT for the college’s emergency medical service. Throughout his time at Amherst, Eli worked as a teaching assistant for the Physics Department and, in 2017, was in charge of organizing and teaching the college’s EMT course. Eli is originally from Atlanta and enjoys hiking and camping in the north Georgia mountains. In addition, Eli is an avid rock climber, spending a lot of time climbing in Western Massachusetts during college and doing an expedition to Grand Teton, Wyoming. Temba Tebogo Maqubela took over as Groton School’s headmaster on July 1, 2013; he is the eighth headmaster since the School’s founding in 1884. Prior to arriving on the Circle, Mr. Maqubela spent nearly three decades at Phillips Academy, Andover. He joined Andover as a chemistry teacher in 1987, left from 1992-1994 to earn a master’s in chemistry at the University of Kentucky, then returned to Andover, where he chaired the chemistry department; directed (MS)2, a math and science program for minority students; and became dean of faculty. From 2006 to 2013, he was both dean of faculty and assistant head of academics. Mr. Maqubela was born in King William’s Town, a small city in South Africa’s Eastern Cape. He attended high school in Umtata from 1972 until a few weeks before his intended graduation in 1976, when he was arrested—while in his mother’s biology class—and detained for anti-apartheid activities. Later that year, he fled South Africa for Botswana and ultimately finished high school in Nigeria. He graduated with honors from Nigeria’s University of Ibadan, earning a bachelor’s degree in chemistry. From 1983 to 1986, he taught physical science and A-level chemistry at Maru-a-Pula School in Botswana. Mr. Maqubela arrived in the United States as a political refugee in 1986, living with his wife, Vuyelwa, and eldest son, Kanyi, in New York City; he landed his first U.S. teaching job at a public school in Long Island City. The Maqubelas eventually had two more sons, Pumi and Tebs; all three children graduated from Andover. Mr. and Mrs. Maqubela, both devoted educators, teach at Groton—he teaches organic chemistry, and she teaches Second Form (eighth grade) English and Upper School electives. Among Mr. Maqubela’s many honors are a White House Distinguished Teacher Award in 1993, the University of Kentucky’s Lyman T. Johnson Award for Excellence in Teaching in 1994, and his 2002 induction into the Northeast Section of the American Chemical Society’s Aula Laudis Society, honoring excellence in secondary school chemistry teaching. Before beginning her career on the Circle in 1995, Paula Marks spent 10 years in the biotechnology industry, working in both the academic and private research sectors. With two young children at the time, she looked for a career where she could more easily balance the many demands of life. Over the past 16 years at Groton, Paula has undertaken various responsibilities, in and out of the classroom. Her primary responsibilities include teaching cellular and molecular biology; AP biology; and electives in anatomy and physiology, comparative vertebrate anatomy, and dissection and molecular biology. She heads a dorm for Upper School girls, coaches the girls JV ice hockey and lacrosse teams, and is involved in the development and implementation of the Choices program. Paula earned a BA at Connecticut College. 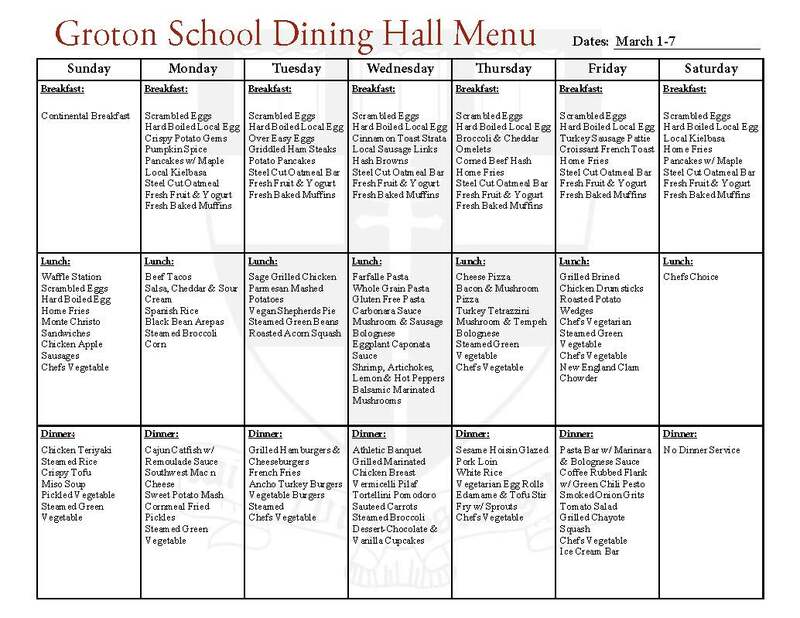 She is mother to three—Grotonians Lily ’09 and Emily ’12 and Nick, a graduate of Lawrence Academy. Hobbies and interests include but are not limited to gardening, sewing, interior decorating, and anything pertaining to ice hockey. Dave received his BA from Williams in 1987 and an MA from Tufts in 1993. He then spent six years teaching science and coaching racquet sports at Westminster School in Connecticut before moving to Groton in 1999 with his wife and two daughters. Dave coaches boys varsity squash and girls varsity tennis and serves on a variety of administrative committees. 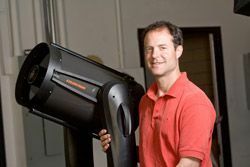 In his time at Groton, Dave has taught all levels of physics and astronomy, and he has conducted numerous tutorials on topics from boat hull design to quantum theory. He helped create and launch the School's innovative STEM program, was one of the inaugural teachers of one of its interdisciplinary courses, and remains committed to collaborative teaching. Dave holds the Lathrop Brown Chair, one of several endowed chairs for esteemed faculty members.